National Levels 6 to 10 are the highest stage for competitive sports acrobatics gymnastics at a National level and skills are based on requirements from the International rules as directed by the National levels system. Level 6 & 7 perform Balance and Dynamic routines and level 8-10 perform Balance, Dynamic and Combined routines all set to music. The level of the partnership will be initially determined by the level of individual skills mastered by all members of the group. Some athletes will remain in their current groups while others will be changed to a more appropriate group. A group will NOT be placed at a level in which they are unable to perform the individual skills however a group may be moved up a level during the season if they make significant progress in both partner and individual skills. Girls are required to wear leotards, with bike shorts or capri length tights. Boys should wear a close-fitting t-shirt (does not need to be skin tight) and athletic shorts. 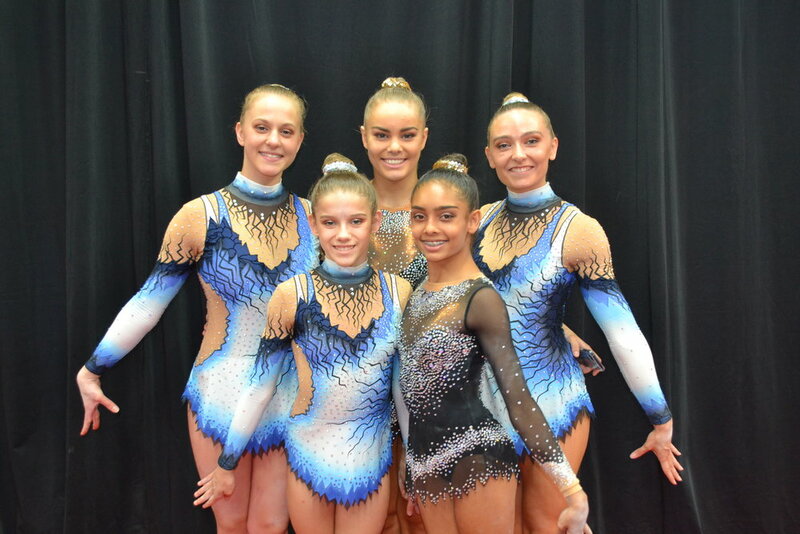 When in competition warm up, at training camps or workshops, all groups and pairs should wear matching leotards in order to assist coaches in their delivery of sessions as well as presenting a professional image.